Otaku Janai Ne? : Pirates, Bodyslams and Deathmatches, Oh My! Assassin's Creed IV: Black Flag - Ubisoft is at it again with another yearly release of Assassin's Creed. Here you play as the Pirate and later Assassin Edward Kenway who happens to be the father of Haytham Kenway and the grandfather of Ratonhnhake:ton better known as Conner from Assassin's Creed 3. There are three major cities that you will explore; Havana, Cuba; Kingston, Jamaica and Nassau, Bahamas as well as 50 other locations. You will captain a ship called the Jackdaw and will be upgrade it as you play to help with exploration and battles. Like previous games you will meet real life characters like Blackbeard. Also Kenway will be able to recruit Assassins but they will not be able to assist you in combat or long range assassinations like previous games. Assassin's Creed IV: Black Flag is available for the Xbox 360, PS3, Wii U and the PC today. Will be released for Xbox One and PS4 as a Day One release for each system. WWE 2K14 - After THQ filed for bankruptcy 2K Sports picked up where they left off. A new mode called 30 Years of Wrestlemania Mode where you can relive certain moments of WWE history in the past 30 years. You can play moments with Hulk Hogan to the rivalry of Shawn Michaels and Bret Hart, the Attitude Era, the rise of Randy Orton and Edge to what now is the Universal Era which the rise of John Cena and the return of The Rock and Brock Lesner. Another new mode called The Streak Mode focuses on Undertaker's undefeated 21-0 streak at Wrestlemania. You can either defend the streak or attempt to break it. 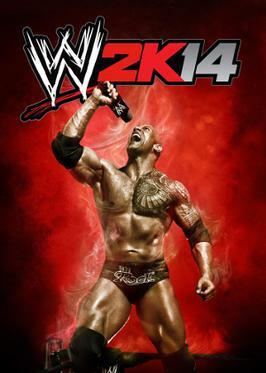 WWE 2K14 is available for the Xbox 360 and the PS3. Battlefield 4 - It takes place in the year 2020 where tensions are running high between the United States and Russia. Russia and China are potential allies and there is a fear that a third World War will take place. When you aren't busy in single player, there are many things to look forward to online. The return of Commander mode from BF2, which is a Real Time Strategy mode for you to give orders on the battlefield to teammates. As well a two new modes; Obliteration and Defuse. There have been changes to the 4 kits, for example the Assault Kit now has a limited number of revives and must let the defibrillator recharge. Customization has expanded, now all guns have camo including adaptive camo that changes so it can adapt to the map you are playing in. Also you can put camo on Jets, Helicopters and Tanks. Battlefield 4 is available on the Xbox 360, PS3 and PC. Will be available for Day One release on Xbox One and PS4. Sonic Lost World - Sonic the Hedgehog along with Tails are traveling to save captured animals and trying to confront Doctor Eggman when they run into Deadly Six on the Lost Hex. Sonic and Eggman must work together in order to bring Deadly Six down. This game looks similar to Super Mario Galaxy because of the spherical worlds but they do also have side-scrolling 2D levels as well as fast moving 3D linear levels. You can control the speed of Sonic and use abilities that require use of the Wii U Gamepad. If you die multiple times, an RC will appear to help out which you can customize on your 3ds and upload it on the Wii U. There are both cooperative and competitive multiplayer. Sonic Lost World is available for the Wii U and 3DS. The last two games that released today are Angry Birds Star Wars and Pac-Man and the Ghostly Adventures. All out on Xbox 360, PS3, Wii U and 3DS. Angry Birds Star Wars is also on the Wii and the PS Vita.